UPDATE: The free patterns are now all gathered on this separate page. I have to make room in the sidebar for other cool stuff soon. This blog theme really works for me. It is clean, easy to read, professional looking without being stuffy, and has a few useful doo-dads… thingies… widgets… that help me point you to cool stuff. Dang it if I could never figure out how to accomplish these things at Blogger. Could be I didn’t try hard enough there, but if you have to work so hard at something that’s supposed to be fun, what the frack! So last night I floundered my way through a few WordPress tutorials and discovered that this theme let’s you put a customizable blogroll widget on the sidebar. That would have been gobbledy gook to me a couple of days ago. I’m guessing that normal peoples’ list of links (blogroll) would include their friends’ blogs, the sites they visit, whatever. But the blogroll can actually support any kind of links you want. HMMMM. So last night, more accurately this morning at 25 or 6 to 4, I had the brainstorm to locate, grab and post the links for every one of my crochet designs that is currently being offered as a free pattern download. While not blogs, these are sort of my friends, huh? Finding the links was pretty straightforward. Most of the free designs of mine are from NaturallyCaron.com, crocheted in the yarns Spa and Country, or at the Caron site and done in Caron Simply Soft. A few are from Lion Brand Yarn (be advised that they make you sign up and sign in before you can download the goods). Other sources are Tahki, Coats, Craft Yarn Council of America, Knitting Daily TV, Michaels and Ravelry. Meanwhile, please help yourselves to the free patterns linked through my shiny new sidebarblogrollwidget. And while you are surfing around the net, if you spot any more of my work that’s a free pattern, drop a comment to this post and let me add it to the pile. One more thing. The best way to view ALL of my crochet designs in one place is Ravelry.com, the awesome free site for all fiber arts. Simply join Ravelry if you aren’t yet a member, and connect with me there (dorisjchan). What you want to view is Doris Chan Design Pages. 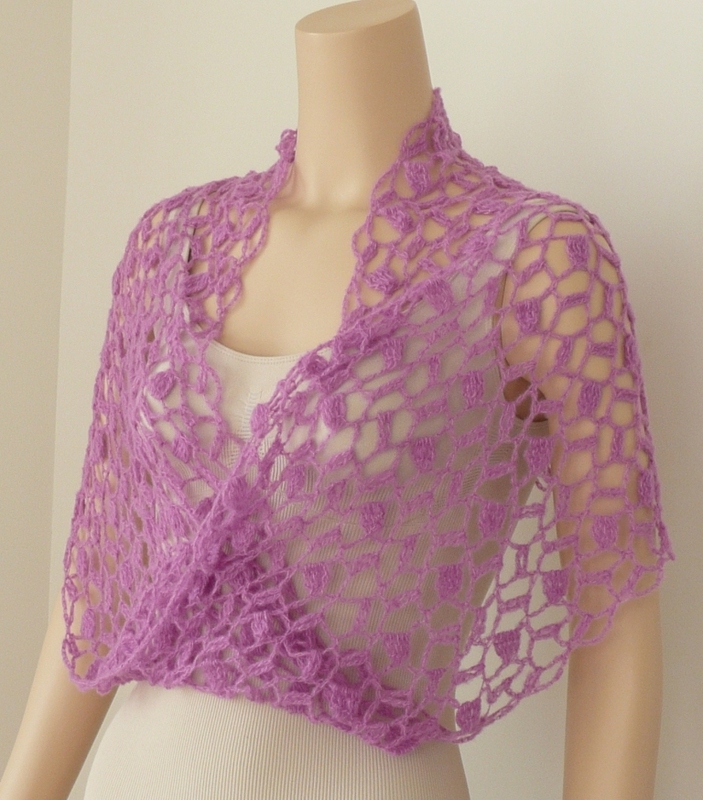 This entry was posted in crochet, free crochet pattern and tagged free crochet pattern by dorischancrochet. Bookmark the permalink. I found you! I found you! Best wishes on your new blog home from Skeinfest! Great idea for your links! I really love the flexibility and options available with WordPress. I think it’s all looking great here so far! Congrats on the new digs. Like all the patterns on the sidebar! Out of curiosity, will your pattern from Tahki given out w/yarn purchase during VK Live be available to the wider general public somewhere? If you have read posts on this blog concerning the nature of free-lance design, then you already know the answer. No. Free lance designers are responsible for many aspects of their projects in exchange for which we receive a fee and relinquish all rights to the contractor. We provide a professionally finished crocheted sample in the size, yarn and shade specified by the contractor. We write step-by-step instructions on how the project is crocheted, provide pattern grading for four or five sizes (sometimes more), give measurements for the dimensions and estimated yarn amounts for all sizes, explain all techniques and stitches. Designers do not traditionally provide illustrations such as stitch diagrams and are not compensated enough to provide them, in the same way we do not do the technical editing of our own patterns, nor do we do the formatting or photography. How a pattern is published is totally in the hands of the companies that own the rights to the design. For the designs that I myself own and self-publish in my independent DJC Designs line there will always be stitch diagrams. But you need to know that I retain and pay for the services of a professional illustrator. Hope you will understand why the answer in the case of September Morn is no. Blogroll rhymes with bog roll which means loo roll which is…. ;) I’ve bookmarked you. lol–25 or 6 to 4. Love it! It’s pretty sad when I crack myself up. Dear Ms Chan, I have been an admirer of your work for sometime now. Do you now or will you ever consider making clothes patterns for younger teens ages 10-14? I can not find very many in these sizes even on ravelry or crochet me. I am hoping more designers will give more consideration to this age group. Have you seen my pattern line DJC2? More to come.